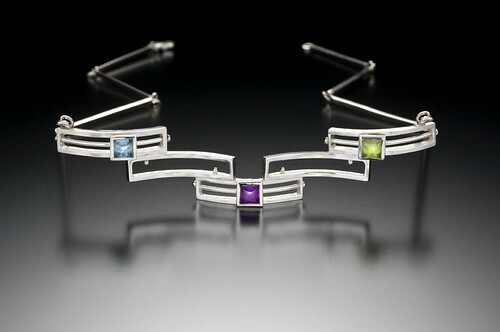 I was recently informed that my "Kinetic Mod Necklace" has been chosen as one of the 2009 Niche Awards Finalists! The winners of the awards will be announced on February 15, 2009 in Philadelphia, PA at a banquet and ceremony during the Buyers Market of American Craft. ...This is my 8th time as a Niche Award Finalist...but I have yet to win the award. I am beginning to feel like the Susan Lucci of the Niche Awards! in bocca al lupo for Feb!!! Congratulations! I really hope you win!